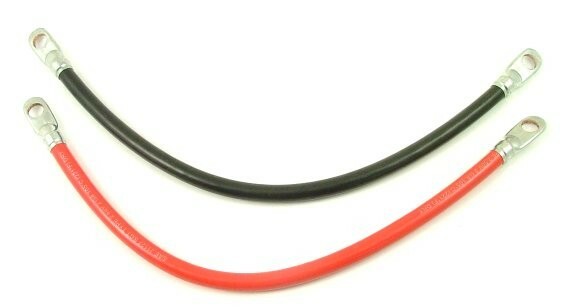 Set of two battery cables, one black and one red. 60V #2 gauge. 16" long.